If you’re looking after an elderly adult parent or grandparent of yours, then it’s not just the nutritional diet and physical well-being that you have to look after. You need to make sure their dental hygiene is not compromised and that their teeth and gums are in good health. Most seniors experience periodontal diseases or dry mouth. Considering dental health affects the health of your overall body, these issues must be taken seriously. This article will shed light on 7 convincing reasons as to why maintaining seniors’ dental health is important. Research has proven that gum diseases lead to heart diseases. This means maintaining oral hygiene is the best way to avoid heart attacks, strokes, and other heart diseases. People with missing teeth, cavities, and gum diseases are more susceptible to heart diseases. If you develop a gum disease, it will keep your body from using insulin. As a result, high blood sugar will cause more gum infections. Also, when seniors inhale the bacterial droplets into their lungs, it causes pneumonia. Taking good care of seniors’ oral hygiene is the only way to prevent them from developing pneumonia and diabetes. As a result of our aging process, the dentin loses its color because of all the food and drinks that we consume. As the outer layer of our teeth goes thinner with our age, the yellow dentin begins to show through it, making our teeth look dark. We know that the remnants of food in our mouth develop plaque, and plaque is responsible for causing gum diseases. But what causes gum diseases in a senior’s mouth? Smoking tobacco, eating unhealthy diets, improper fitting of dentures and bridges are some of the most commonly observed causes of gum diseases in seniors that must be addressed timely. Seniors usually experience dry mouth as a result of medications and cancer treatment that they receive in their head or neck areas. When saliva is unable to keep the mouth wet and protect teeth from decay, a vast number of bacteria can cause infections and fungi in a senior’s mouth. However, regular dental checkups can alleviate the severity of these infections. Tooth root decay is quite common in seniors. It is caused when a tooth root, which doesn’t have any enamel protection, is exposed to the acids from food. Seniors tend to experience bite issues when they lose their teeth. If seniors don’t replace their lost teeth with false ones, they experience bite issues. That’s because their other teeth begin to shift into open spaces, causing their jawbone to become uneven. Make sure the seniors in your family receive proper and adequate dental care in order to avoid the above-mentioned problems and diseases. 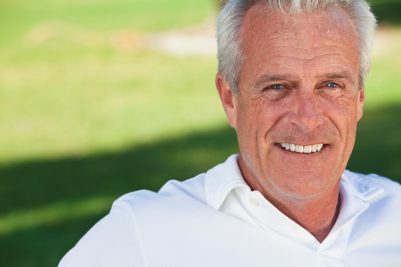 To ensure proper dental care and oral hygiene for seniors, contact Troy Dentist, Paul Mansky Dental and find out the best ways to maintain their dental health. We can be reached at (248) 689-5508.